Any constructive discussion about brand development must begin with a clear definition of what a brand is. Language, and it’s ensuing usage, matters. Everyday, we use language to remove ambiguity and uncertainty in our communication with one another. We use language to inform the people around us of what we feel, what we desire, and to make sense of the world at large. Language is a shared thread used to build our socio-economic interests and enhance our cultural value system. The way we use language is extremely important. The denotative (precise, literal meanings) and connotative (contextual, suggestive meanings) we attribute to words are intentionally constructed to clarify our communication. As their usage evolves, words can become unhinged from clear understanding and people start using the same word to mean completely different things. The word brand has become one of these words. 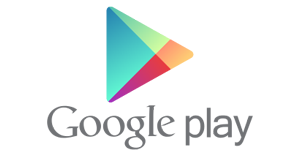 Brand, in it’s modern usage, is the wild, wild west. The term is slung around in a variety of contrasting ways each with it’s own set of implications to our sense of what a brand actually is. There have been a multitude of definitions floated into the business lexicon. None of these definitions are inherently wrong. None of them are inherently right, either. To muddle understanding further, the word brand has been used as a noun when referring to surface artifacts (more on artifacts later) like a logo, a visual identity system, an advertising campaign, or even as a synonym for an organization on the whole. It’s been used as a verb (as in “I need to brand,” or “if we just brand ourselves”) when talking about the need for, or work of brand development. The word brand has even been used as a possessive pronoun (as in “our brand,” “their brand,” and “your brand”) when comparing one organization against another. With the rise in popularity for the term brand and the correlating clutter in our comprehension of what it means, it’s no wonder our understanding is, at best, murky. The definition of what is meant when we use the term brand is immensely varied and the language ecosystem wherein the term lies only hampers it’s understanding further. A brand is a relationship between an organization and an audience. Branding is the aggregate effect of both the intentional and unintentional activities taken by the organization or the audience in establishing and maintaining their relationship. Intentional Branding is the deliberate and conscious activities taken by an organization to project its value for the purpose of building the relationship with its audience. Unintentional branding is the inadvertent influence on the relationship occurring regardless of intention as a result of action or lack of action. 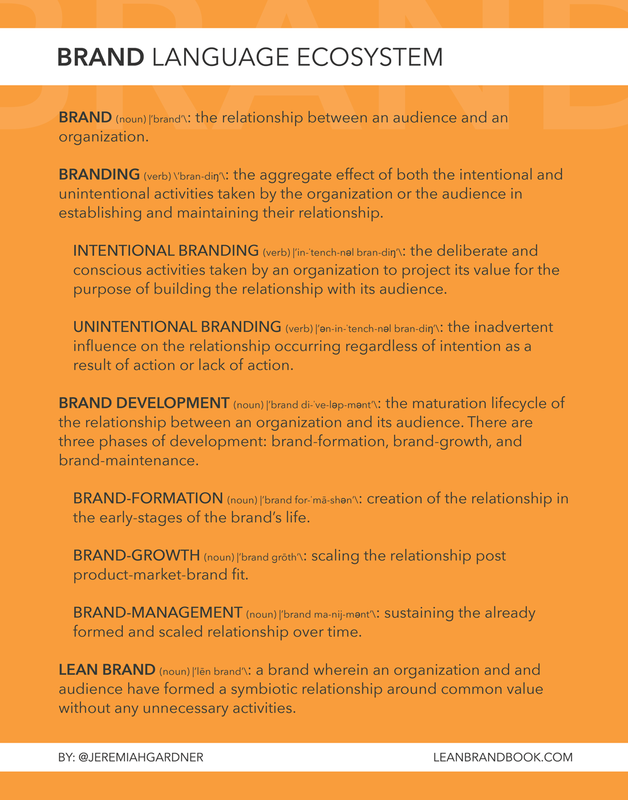 Brand Development is the maturation lifecycle of the relationship between an organization and it’s audience. There are three phases of development:brand-formation, brand-growth, and brand-maintenance. Brand-formation is the creation of the relationship in the early-stages of the brand’s life. Brand-growth is the scaling of the relationship post product-market-brand fit. Brand-management is the sustaining the already formed and scaled relationship over time. 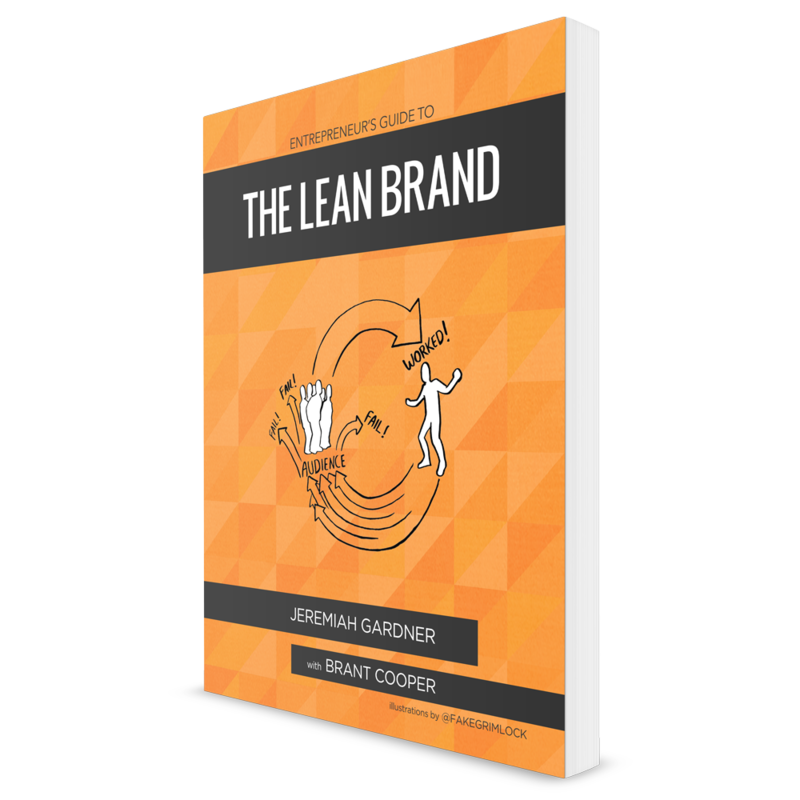 A Lean Brand is a brand wherein an organization and and audience have achieved a symbiotic relationship around common value without any extraneous activities. No matter what previous definition you tended to subscribe to, when you talk about a brand, what you’re really getting at is relationship. A promise is part of a relationship. As is a name, perception, and personality. Relationship also accounts for what people say about you when you leave the room as well as the intangible sum of a product’s attributes. Expectations are part of a relationship as is everything people see, hear, or feel about you. The essence of a story is part of a relationship and relationship is definitely part of the image people have of you. A brand is a relationship because it’s how we, as humans, intuitively relate to products, organizations, and ideas. Relationships are the way we engage with the world around us. We naturally develop deep feelings, affections, biases, and associations with what we choose to interact with and purchase on a daily basis. These feelings, affections, biases, and associations are best understood within the context of a relationship.